From the Topsy Turvy Collection! 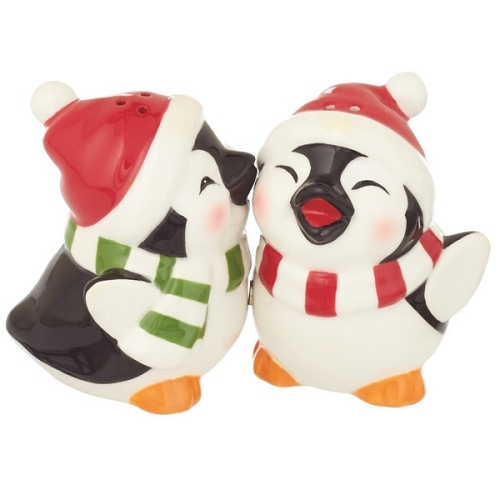 The Penguin Salt & Pepper Set! They measures approximately 2 ½" tall and 2 ½" wide each. Put together they measure approximately 5" wide and are ceramic. Two adorable Penguins bring holiday cheer to your table. The penguins have a magnet on them so when the one with the green scarf goes in for a kiss they stay together. So sweet!